Decided to incorporate a good warmup this morning - some plyometric stretches, a few bodyweight squats and lunges, and then I ran down to the first corner on the bike course and back. Nice and sweaty, well warmed up, and after a race briefing at 6:30 we're off! Well, almost, there were 225 people to be off in front of me at 15 second intervals, but they soon were on their way and it was my turn. My swim plan was simple – it’s only 426 metres so push hard all the way through. In the first length and a half I’d caught the person in front of me (1.5 lengths swimming, 0.5 lengths trying not to swim over the lady I caught up). The swim marshalling was good and observant, so she was tapped on the head to wait at the end and let me past (as if my constant patting of her feet wasn’t signal enough!). I turned and pushed off hard, then turning for length 4 I caught the next person – same deal. In fact, I caught the next person in front on every pair of lengths – this broke my rhythm, slowed me down, and made the turns take longer. My swim time could have been quite a bit quicker – maybe as much as 15 to 20 seconds over all. Time for a confession: This “catching people in the swim” problem is the downside of trying to be clever about where you’re positioned in the waves. When you sign up you provide estimates for your 400m swim time and overall race completion time. By having a good swim time estimate, but a slow overall race time estimate, you can get in the first or second wave. 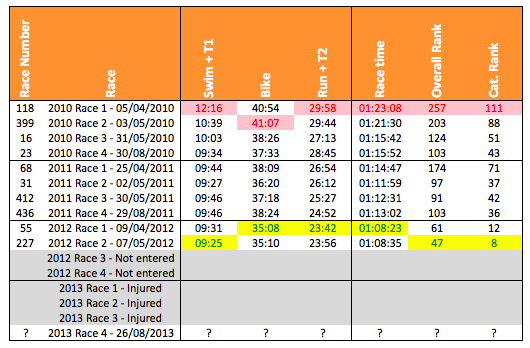 I have been under-reporting my race time deliberately to achieve just this result (sorry). This means I’m surrounded by cyclists who aren’t as fast as me (plenty of people to chase) and because it’s still very early the traffic levels are low on the roads. However, those in the wave seem to be less good at estimating their swim time (it’s hard to do it unless you smash out 400m and see how long it takes) – I know I’ve made a hash of it in previous race entries. If I told the truth about my estimated finish time then I’d be in wave 4 with the scary fast people (along with Mrs). That wave are much more aware of their swim capabilities – Mrs didn’t catch anyone, or get overtaken, and could therefore focus on getting a good swim in. I may need to bite the bullet in 2014 and play with the fast people – being overtaken on the bike and getting someone to harder to chase would be good for me too. In any case, swim done – couldn’t push as hard as I wanted, but I certainly went harder than I recall going before – this gave me a good time of 07:48 a new PB, happy with that! I’d decided to try some new things in T1 to speed up and cut down on the number of things I had to do. Shoes were attached to the bike so I don’t need to faff about putting them on and running to the mount line in shoes with cleats, and I’d put my sunglasses across my tri-bars so I didn’t have to put them on and faff about more as they instantly steam up. 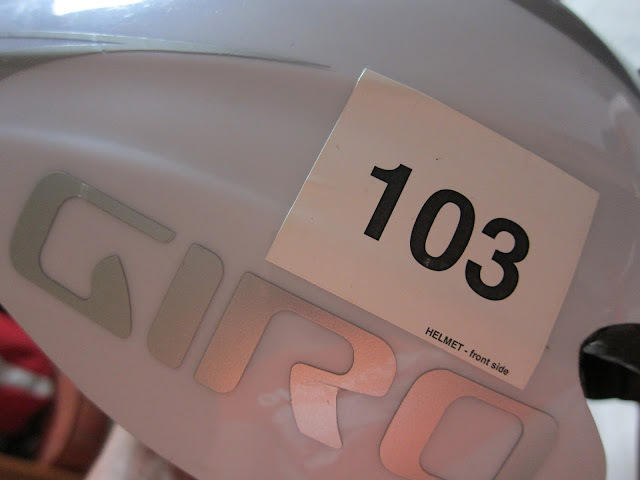 The routine was simply: run to bike, drop goggles, put race belt on with my number on it, put bike helmet on, grab bike, run out. This gave me my fastest T1 ever of 53s. Happy with that too. A "Swim + T1" PB of 40s. Out on the bike, feet slipped into my shoes perfectly (definitely faster, will use the same technique in Zell am See next weekend), got some momentum up, sunglasses on, and settled in for the short ride. I started reeling in the slower riders in front of me, taking a half dozen by the first turn-around. Thinking after the event, being around slower riders is not helpful. There’s nothing driving you on, no one to race, and no one to overtake you – you get a false sense of your own performance. Next year I’ll bite the bullet and start in wave 4, a little humility will do me good. One set of traffic lights got me but I had good notice so freewheeled up waiting for them to change. A rubbish truck turned into the road in front of me later on and broke my rhythm – I overtook it after 10 seconds or so (felt like a lot longer). I pushed, keeping cadence high, changing up when I could and back down when needed. It was feeling good. No slowing for the speed-bumps, just keep pushing. One final bit of fun at the end, sprinting to just beat someone to the timing line – maybe a sign I could have been going harder all the time? In any case, came out with a 35:52 which is just 44s off my PB. I’m more than happy with that as I’m certainly far less trained than last year – so with a good winter of base training to come there’s certainly scope for some big bike PB action next year. I used 06:01 of the 7 minute non-compete zone trundling back up to T2, ran through T2 as fast as I could, including going the wrong way to Run Exit – never done that before! Proof if it were needed that some good transition visualization is important when you rack up in the morning – even if it’s the 10th time you’ve done the race. No room for complacency. T2 was over in 52s, another PB. 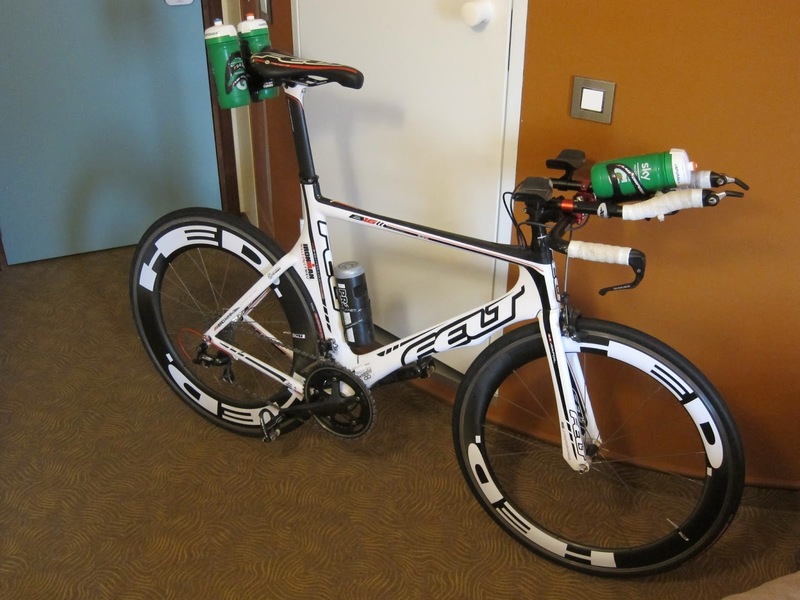 I knew the run would be the tricky bit – my swimming is feeling good right now, and I can usually pull out a good bike regardless, but you can’t fake it on the run. I was using my lovely Brooks T7racers from last year and they felt weightless. My cadence got up quickly to 5km turnover of around 92 strides per minute (measured from a sensor on one foot, so a stride is effectively two steps). I kept a good constant pace but was troubled by labored breathing. I was wheezing a fair amount and not running with an inhaler meant there was nothing I could do but push on through. It’s uncomfortable but not debilitating though certainly impacts performance. I was happy with my overall run time of 25:09, which gives a "T2 + Run" time of 26:02, a fair bit slower than my course PB "T2 + Run" time of 23:42 but still the fastest 5km I’ve run since returning to running. So, a good day. I recovered quickly, no aches or pains apart from a slight Achilles tenderness from not being used to running in the low-drop trainers. My final time was 1:10:33 - my third fastest finish time on this course. Overall I was top 16% of finishers at 70th out of 445, top 23% of men at 61st of 269, and top 27% in my age group at 13th out of 48. 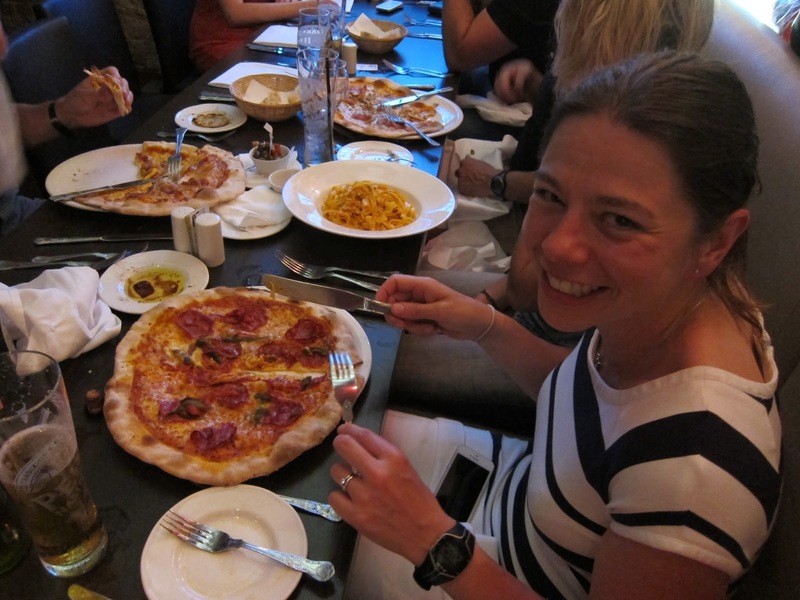 Mrs smashed her previous PB and absolutely monstered the bike – check her report. 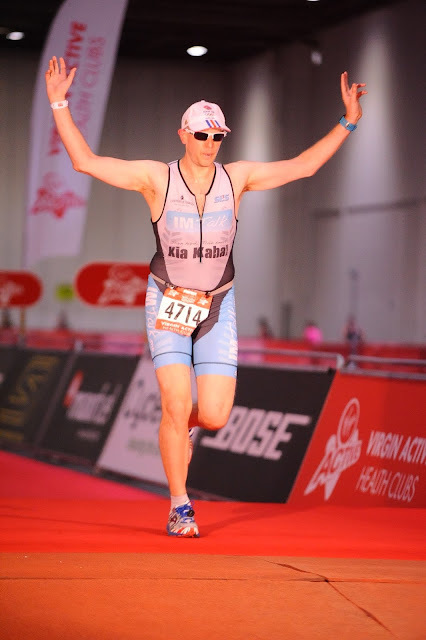 A calm week ahead now as I try to go into Ironman70.3 Zell am See-Kaprun fresh next Sunday! I started training again on June 1st, a little under 3 months ago. I started from zero, with an accelerated version of C25k (the famous "couch to 5km" plan). I had a few events planned (London Triathlon, Ride London) and they came and went and I was happy - but I wasn't racing them. My plan was to not care about the time, enjoy the experience, take away the pressure and get fitter and faster without injuring myself again. I'm trying hard to take that relaxed attitude into the Thames Turbo Sprint Series Race 4 tomorrow, but it's really tough - I really really (really!) want to smash it and race hard. It's one of my favourite races, I've entered all the ones I can over the last 3 or 4 years. It's excellent to have a benchmark race to judge your current performance against. So what's happened in the 90 days since I started again? I've made an effort to record every session in the excellent Training Peaks portal, and they provide powerful analysis tools. It's particularly important to make sure that you don't ramp up on overall duration and run distance too quickly. I seem to have built up evenly with a good continual improvement over the first couple of months (before the races started getting in the way). All good so far - but what about the cumulative training effect, including cycling, swimming, and strength training? 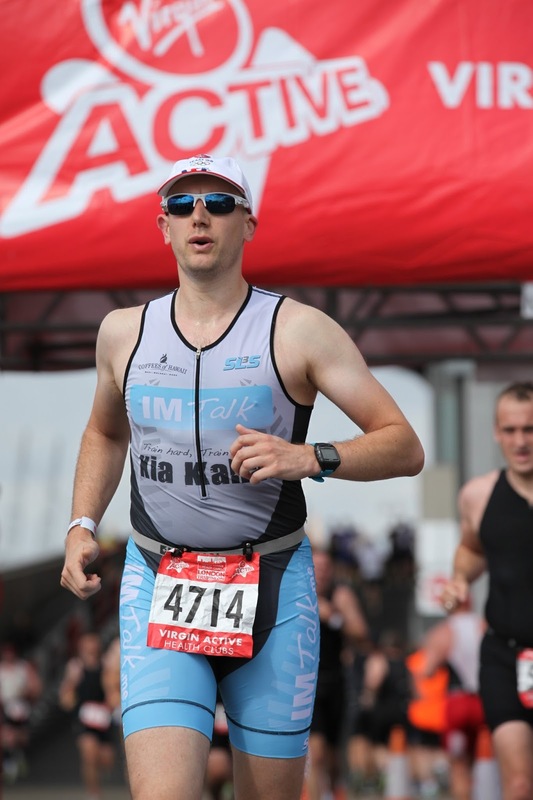 By analysing all the data from my Garmin 910XT, Training Peaks can work out how fit I am, and how ready I am to race. The blue line is Chronic Training Load which has ramped up nicely over the period. As training gets harder and more intense I would expect to see that climb, then level off/drop a bit, then climb further, and repeat that pattern in line with periodisation of training (e.g. three harder building weeks, followed by an adaptation week, repeat). At this stage, a gradual measured climb is fine - it means I'm getting steadily fitter. The pink line is Acute Training Load and represents how hard specific sessions or events have been. You can see the two big spikes signifying the London Triathlon and Ride London. It'll be interesting to see what happens tomorrow - it'll only be a short session (I hope!) but should be as high an output as I can sustain for the whole time, and therefore be a significant acute load. The Orange line is Training Stress Balance and can be considered as a my freshness level. See the dip after the spikes in acute load - when you work hard, afterwards you're less fresh. The aim is to go into a race with a strong overall fitness balanced by a good level of freshness. Note that despite increasing chronic training load freshness does not drop - able to handle more work without losing freshness means fitness improving. I am still much less fit (and much more heavy) than last year - but I'm certainly not going to let that hold me back. I think I'm ready to smash out a sprint without fear of injury now. My prediction is that I should be able to get a really good swim and bike done (maybe a PB swim, and possibly close on the bike), but I'll drift back on the run as I'm really not at all run-fit right now - estimated finish time 01:11:00. Now it's rest for the rest of today and we'll see what tomorrow brings! 2014 will be another year of iron! I try not to think too much about the long term plan too much. I know I want to to race more and get better/faster/fitter, but at what distance or event I'm fairly sanguine. My approach is to relax, go with the flow, and see what I end up signing up for. I kind of let my subconscious get on with it while I watch from the sidelines. As a result it sometimes gets carried away before I can get it in check - but at least I know I'll always have a full calendar. 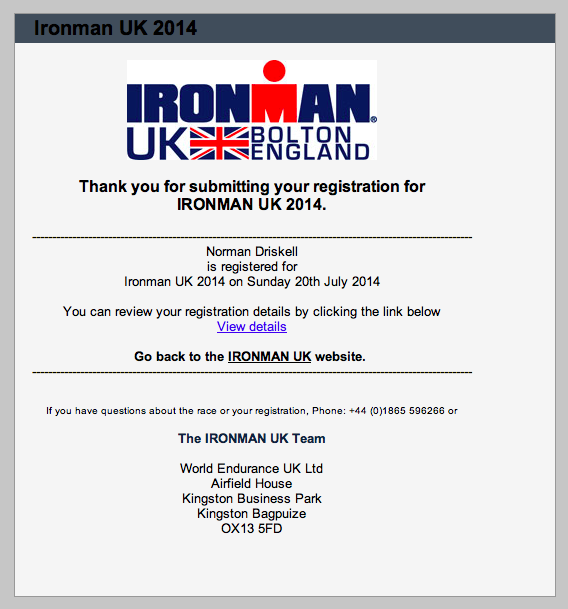 I entered IM 70.3 UK 2014 a while ago, and a few minutes ago also entered the full distance IM UK 2014. It looks like 2014 will be another year of iron! I'm also fairly convinced that in September my inner event-enterer will be signing me up to IM Wales again too. Glutton for punishment? Certainly. I have unfinished business on both of those full distance courses. They were my first, I was young and naive. I loved the experiences but made many rookie mistakes. I can go a lot faster. A lot faster. Also for 2014 there's Hell of The Ashdown to do (missed that this year due to ITBS woe), Ride London, a bunch of Thames Turbo sprint triathlons, the Virgin Active London Triathlon (really enjoyed the Olympic Plus event this year), and probably much more. I shall certainly be entering the Ultra Race London Ultra 50km (when entries are open, no news on that yet but I assume it'll be going ahead), I'd really like to run further too (Mrs is getting the bug for ultra-running, it's infectious). I really fancy a 50-miler, one day maybe longer (but probably not next year). There are also the little "someday/maybe" side projects that swim around my head. I want to do my London run-derground over winter to make training a bit more interesting. I also fancy riding LE2JoG (Land's End to John O'Groats) again - I've done it before but spread over two weeks. I fancy trying it in 4 or 5 days. Maybe a little project for Easter. 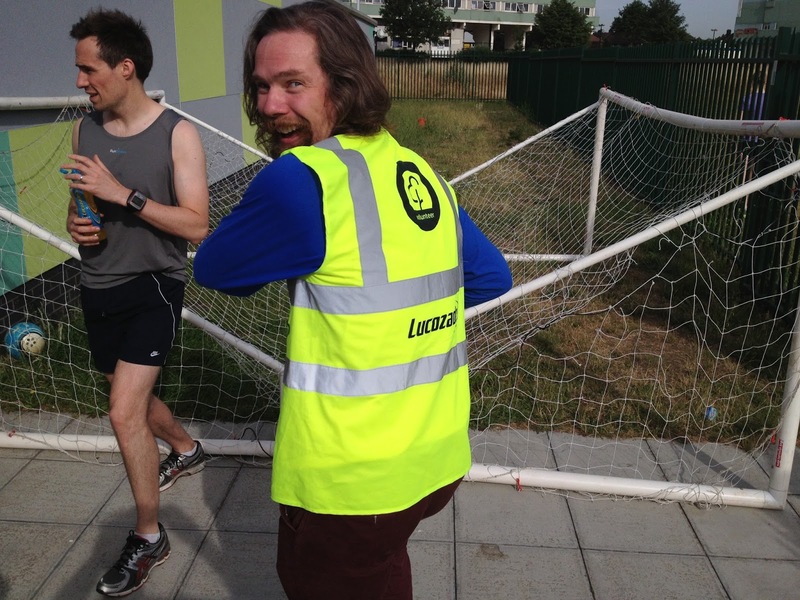 Added to that, there are so many parkruns still to do; so, so many more parkruns! 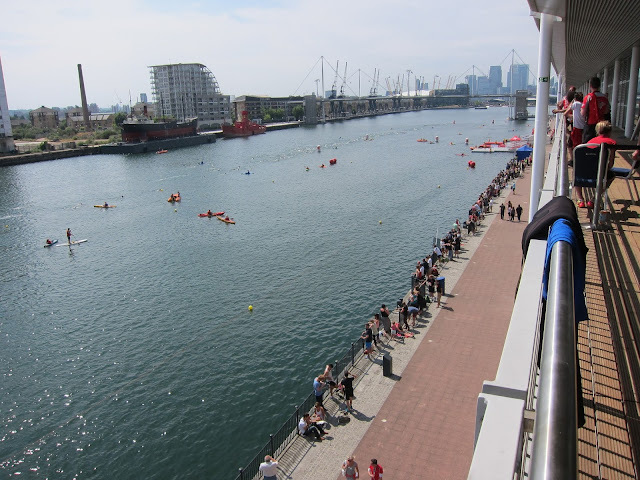 There's plenty to do first though - Thames Turbo sprint series race 4 is on Monday, IM 70.3 Zell-am-See-Kaprun is next weekend, with the Valencia triathlon the week after that. The following week is the ITU World Series final in Hyde Park, we got some grandstand tickets for the Women's race on Saturday and the Men's on Sunday - and Mrs even managed to secure a spot in the open sprint race so is racing on the famous course. I decided 4 consecutive weekends of racing was probably one too many for me so I shall be on cheering and photography duty. There's nothing quite like a packed calendar! As mentioned in my Ride London event report, I have toyed for a long time with the idea of cycling the underground. A much easier to arrange little project is to run all the lines. I quite fancy doing this as part of training myself back to fitness. It gives the long runs a bit more interest and means I get to explore some more of London. I could even take in a parkrun or two along the way. The lines vary in length and most represent a good run. The Waterloo & City line is a starter for 10 at only a couple of km, and the longest lines are ultra-marathons in their own right. The Northern and longer I'd split up and do in a few sections. The lengths are probably listing track length so the run-distance would be a bit longer in most cases. Should be a fun winter running around London, and it'll make some good reconnaissance for if I ever do decide to have a go at the underground cycling challenge. P.S. : I found this awesome PDF that details the official colours for the lines and Underground signage, etc. Very interesting! Executive summary: I rode London! "Prudential RideLondon: an annual two-day festival of cycling – a true legacy of the 2012 Games"
"Developed by the Mayor of London and his agencies, Prudential RideLondon will be a world-class festival of cycling taking place over the weekend of Saturday 3 August and Sunday 4 August 2013." "There will be no other closed-road event like it that combines the fun and accessible element of a free family ride in central London with the excitement of watching the world’s best professional cyclists race in the Prudential RideLondon-Surrey Classic and Prudential RideLondon Grand Prix." "Taking a cue from the London Marathon, amateur cyclists will also participate in the Prudential RideLondon-Surrey 100 – a 100-mile challenge on the same closed roads as the professionals, with the added incentive of raising money for good causes. To capture it all, the best action will be broadcast live on TV in the UK and internationally, to be seen by an audience of millions." I can't help thinking this is a slightly threatening warning! I took part in the RideLondon Surrey 100, though the path to getting there was fairly tortured. I initially entered the ballot and didn't get a place - the only person I know who entered unsuccessfully. I then got a formal email from their lawyers. This is because a few years ago I had an idea to cycle between all the London Underground stations in one go for charity (kind of an overland tube challenge) - to my knowledge it's still never been done, but gets talked about from time to time. 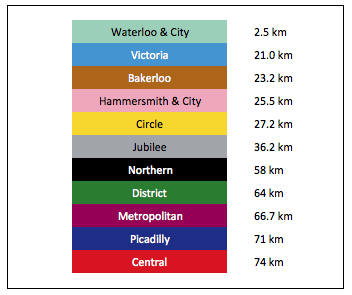 I decided to call that project "Ride London" (can you see where this is going yet?). I registered @RideLondon on twitter, ridelondon.wordpress.com for a blog, youtube.com/ridelondon and ridelondon on flickr. If you're going to start a project, it's wise to snap up the social real-estate first. "This has caused much confusion for our audience and we believe the brand is not receiving the level of engagement it ought to be"
I'd received maybe a half dozen mentions form the "confused" audience, so I didn't think it was that bad - but they had a point, I wasn't progressing my project and I didn't want to be a pain in the arse for an initiative I fully supported. I said I'd give them the names if they gave me a place. They agreed. I got a link to sign up - but although it was guaranteed entry, I still had to pay - again! (I donated my original entry fee to charity). I made a note to have a word, work got hella-busy, and the deadline passed. I forgot about it. We got a cheap and nasty Travelodge for the night before, neither of us wanted to cycle to the Olympic park from Wimbledon in the middle of the night. We chose somewhere near the finish so we didn't have far to stagger afterwards which meant a 30 min gentle ride in the morning. When we set off it was 4:30am and there was just the two of us, bike lights twinkling in the first suggestions of a clear summer dawn. Quickly we were joined by a few more, and then more. Cyclists joining us on the A40 from every direction, through the city, and the same on the A11 until by the time we hit Stratford there was a continual stream of us. I had a Pied Piper experience for some of it as I found myself at the front (through timing, not because I was hoofing it) and leading the way. A few surreptitious checks of google maps on my phone were required to make sure I didn't fork us off the route to somewhere random. Departure times were staggered from about 6am to 8am, with the fastest going off first to avoid congestion on the road. Some of the other Freespeed crew were riding too, they'd all got into "C" wave so were the third group to leave. We'd been assigned group "T" and were due to set off at 7:55! I had visions of being surrounded by people on Boris bikes and shoppers with baskets on the front - I know I'm not quite at race fitness right now but I'm not that bad! We decided to show up to the Olympic Park two hours early and sneak in with the other Freespeed guys (we all had Freespeed kit on, so I figure they won't check too closely). We got away with it (we weren't the only ones, we saw a few other interlopers, but they really were the exception). We were directed down to the starting area and eventually, after some waffle from Mayor Boris, we were off! Well, the "A" group were off, we shuffled forward a bit, then the "B" group went, and we shuffled more... And then we were off! The organisation was absolutely excellent - the starting system worked perfectly as far as I could see, and everyone set off at a fair pace. They acknowledged that people wouldn't want their overall time to be impacted by congestion at the start, so the start timing mat was a couple of miles down the road, plenty of time for us to get organised on the road - a really nice touch that I'm sure prevented a lot of silly riding in the first miles. Each letter had a "Black" and "Blue" variant too, with the two streams being kept separate for the first few miles and being released in turn. Flawless execution, massive respect to the organisers and volunteers. So we were off! 100 miles ahead of us. We were both a little concerned that we hadn't cycled this far for a very long time. I still had a lot of fatigue in my legs from the fun of the Virgin Active London Triathlon the weekend before, and a battering from my new friends at Athletic Edge on Thursday (those guys are excellent, can't praise them enough - I'm really enjoying my strength and conditioning workouts now - and how many triathletes can say that with a straight face?). Mrs was worried about making the cut-off times. The first few miles were fantastic - we flew down the A12 - three lanes of perfect tarmac and not a car in sight. After chatting with the Freespeeders in the starting funnel we soon let them drift out of sight in the first mile or two - this was a conscious decision, to try and stay with them would have been foolish to say the least. We chatted and enjoyed the perfect roads and fast pace. Through to the Blackwall Tunnel, across the top of East India (past Anchorage House, where I used to work), turning round Telehouse - one of the earliest and most famous data centres, and then onto the Limehouse Link. How strange to have ridden these closed roads two weeks in a row. Down Embankment, out through the West End and on towards Richmond, a detour through Richmond Park, and to Kingston. Action shot - you won't often see the A12 like this! We stopped at Hampton Court Palace for a breather and a cup of tea. We'd made great progress! Such fun! The rest stops were just as well organised as the start. There were three hubs spread equally across the 100 miles with additional drink-only stops in between them. If you were finding it hard, you were never that far from a break. The hubs had food (bananas, some new McVitee's Medley bars, and - wonderfully - little packets of pretzels and Sunbites, salty savoury snacks, perfect). They also had hot drink facilities, toilets, bike parking (transition racks), and mechanics available to fix any niggling problems that had come to light. This is the last time I'm saying it: The organisation was excellent! We set off again, out into deepest Surrey and towards Guildford. We continued to make good time. The faster waves were still drifting past us, but not so fast now. The route was good and road surfaces generally excellent. At one of the drink stops we bumped into Boris! He was in high spirits and seemed to be doing really very well indeed. Operation Chiselled Whippet was clearly paying off, though as he admitted in his starting words, he had a long way to go to get to the level of the "mahogany whippets" on the start line! We took a long stop at about mile 50. I'd found miles 40-50 quite hard for some reason and was grateful for a longer pause. We stayed for about 45 minutes in the end. I enjoyed some food, and then we saw the tea hut - two teas and two bacon rolls later and we were much revived. The general profile of the course was 50 miles "flat", 25 miles "bumpy", and then the final 25 miles "flat". We'd heard plenty of talk about Leith Hill - the longest and steepest climb in the bumpy bit. When it came it was indeed a tough one, but as these things often are it was much bigger in our heads than in reality. Mrs got a good start and pulled away, I dug in and after having to take some evasive action to get round a crash that happened right in front of me, we both got up there in one piece. It's a good hill, "honest", and I'll certainly be incorporating it into my training rides. The view from the top was outstanding! The bumpy part of the course passed quickly. We continued to stay together occasionally one or other of us getting a lead, but usually in sight. Before we knew it we were back in the Leatherhead area and going up Box Hill. We've both conquered this one many times - I always think it has a reputation it can't live up to (good for hill reps though) - there's no taking away from the vista at the top though, a great view across Surrey. We decided to stop at the famous Box Hill cafe which, ironically, was quieter than normal for a weekend with no queue at all for refreshments - the third and final hub was just a mile past the summit and it seemed most people were waiting for the free stuff. We had our final cup of tea of the ride, and shared a treacle sponge. Perfect. The route back was on roads known to us. Down from Box Hill, through Esher and past Sandown Park race course where we stopped to get some brief medical attention for Mrs who had an achy elbow - a quick ice pack sorted that out. Always time for a quick stretch, especially those tight hammies! Then it was up through Kingston again, through Wimbledon and up Wimbledon Hill (within a mile of our house! ), past the famous Wimbledon Common and the windmill, over the A3, down through Putney, and up towards Millbank and the Houses of Parliament. Outside the Houses of Parliament - nearly there! We turned up Whitehall from Parliament Square, left at Trafalgar Square, then onto the Mall where the crowds were thick and the noise tremendous. Amazing support, thank you people of London, you were great. Our finish times were identical, 7:50:03 - but this included all our stops. According to my Garmin our moving time to cover the 100 miles was 5:55:26 - I'm totally happy with that. We chilled out for a while afterwards in the sun - we'd done it! A fantastic psychological boundary for us both, and we were really very very happy. What an excellent day. Back to our hotel (so glad we'd got somewhere close!) and then to Byron Burger for a bloody great nosh up and beer (yes, beer!). I've got a lot closer to Virgin Active and the awesome Team Freespeed guys and girls since Mrs was announced as the winner of the "Be Team Freespeed's 12th Member" competition last month. It's all been a bit of a whirlwind actually! 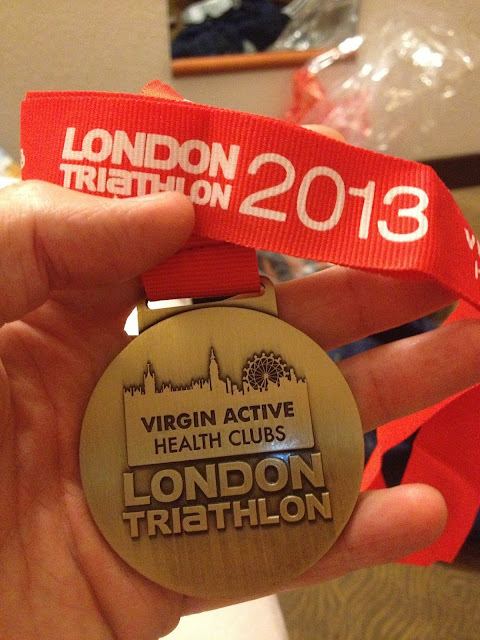 One of the main parts of the prize was to race as part of Team Freespeed at the Virgin Active London Triathlon. We couldn't fit the race into our calendar last year, but had competed in the Olympic distance the year before. We enjoyed it, but had pretty tough days with a sudden hot weekend really taking it out of us, particularly on the run. Added to that it was our first Olympic distance triathlon, and it had seemed like a very long way indeed. Last year in a fit of excitement I signed up for the Olympic Plus event - this is an Olympic distance with a double-length bike leg, so 1,500m swim, 80km bike, and 10km run. I stuck to my plan to race this, whilst Mrs would be taking a VIP spot in one of the Olympic waves, all decked out in Freespeed livery. Due to her prize-winning obligations we needed to be around the expo all weekend, and with my race starting at 06:30 on Sunday we decided to get a hotel for Friday and Saturday night. With the car packed with all our stuff I drove to work Friday morning. 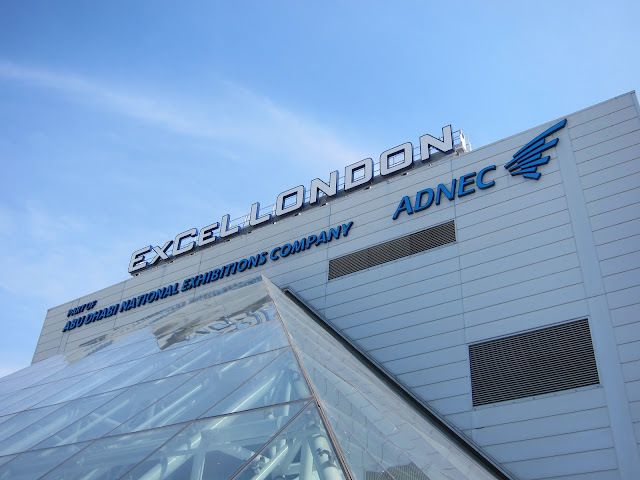 Mrs came up after she finished and we drove over to the ExCel exhibition centre in Docklands, scene of the weekend's activities. Friday night we relaxed and took it easy. Saturday I went over to meet my good friend Mike who was volunteering at Wanstead Flats parkrun, so I ticked another parkrun off the list. 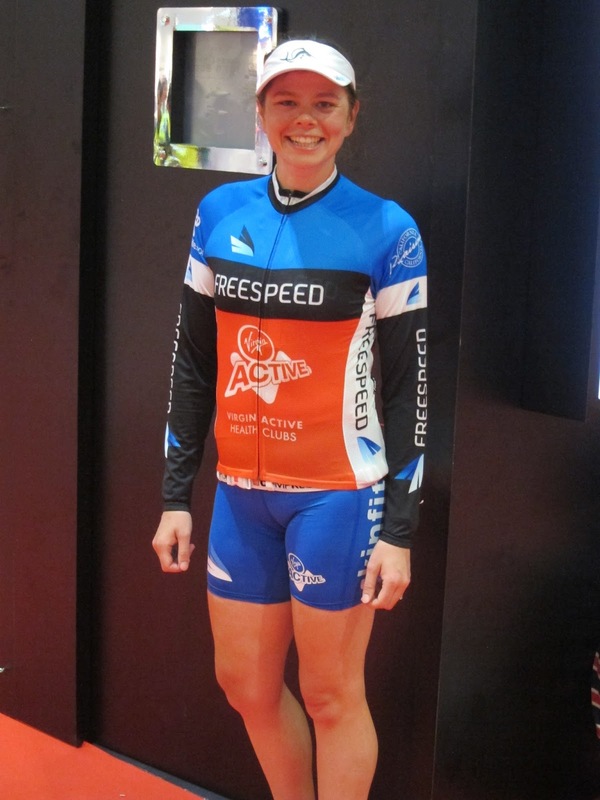 Meanwhile Mrs was hanging out with Team Freespeed at the expo and when I returned I bumped into her as she was rushing out of the hotel with her bike - she was going to stand in for some VIP relay entrants who couldn't race. This is one of the responsibilities of the team, to get involved with the celebs on the Saturday's VIP waves. She swam and biked a sprint distance before handing over to someone from Cosmo magazine who did the run. One of the other Freespeed guys got in a relay team with Olympic gold medalists - women's boxer Nicola Adams and gymnast Louis Smith! Mrs gave me a VIP hospitality pass, so I hung out there for a while and met a few of the Freespeed guys - they're all lovely and I felt very welcome even though I was a total hanger-on! A good view from the VIP balcony! In the evening we joined them for a meal at the local Italian where we met some of the sponsors. Under the guidance of team boss Richard Melik, Freespeed encourage deep long-term relationships with their sponsors, and this really shows. There are some really good personal relationships, and they're a well supported group. It was great to meet some new people, some I'd been friends with on twitter for a while, and also some new faces. Duncan and Liz, owners of The Tri-Life, were there too. They remembered me from the Wimbleball trianing day last year, and Mrs has been working with one of their coaches, Richard, for a little over a year now. Carb-loading - if you can't enjoy a pizza in the middle of two race-days, when can you? Sunday morning rolled inevitably round and the alarm went off at 04:30. Thankfully as we were so close it wouldn't take long to get over there otherwise it would have been an even earlier start. Breakfast was some salami and cheese slices. I really didn't fancy a carby breakfast, even though I was racing, so just went on feel. I did nibble my way through a Clif bar before the start as I set up in transition. 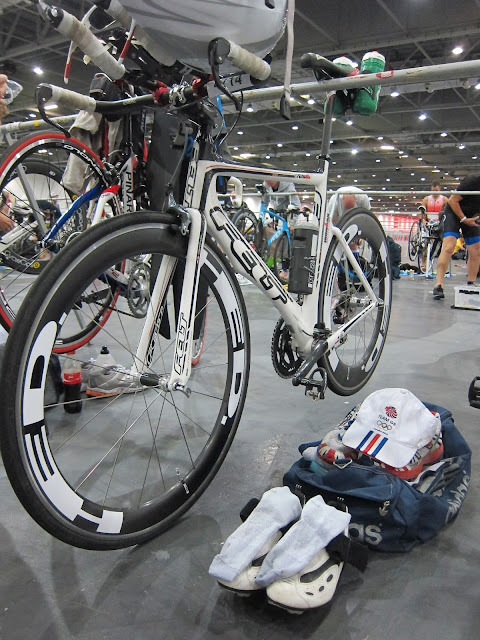 Gameplan for the day was: Get through the swim; smash the bike; jog round the run. This is my first triathlon since coming back from injury, so remaining strong and not hurting myself is the prime objective. I'm not fit enough to be competitive right now, so relax, and enjoy the ride. Bike racked, wetsuit on, and into the start pen for the briefing. The 06:30 Sunday wave is the only Olympic Plus wave, so I was in some very capable company - including Team Freespeed's Richard Hobson (1st overall), Matt Molloy (2nd overall), Declan Doyle (4th overall), Catherine Faux (5th overall, 1st female) and Alison Rowatt (11th overall and 2nd female). Very very capable company indeed! We stepped carefully down the stairs and out into onto the dockside. Support was fairly thin at that time in the morning, and we made quick passage into the water. 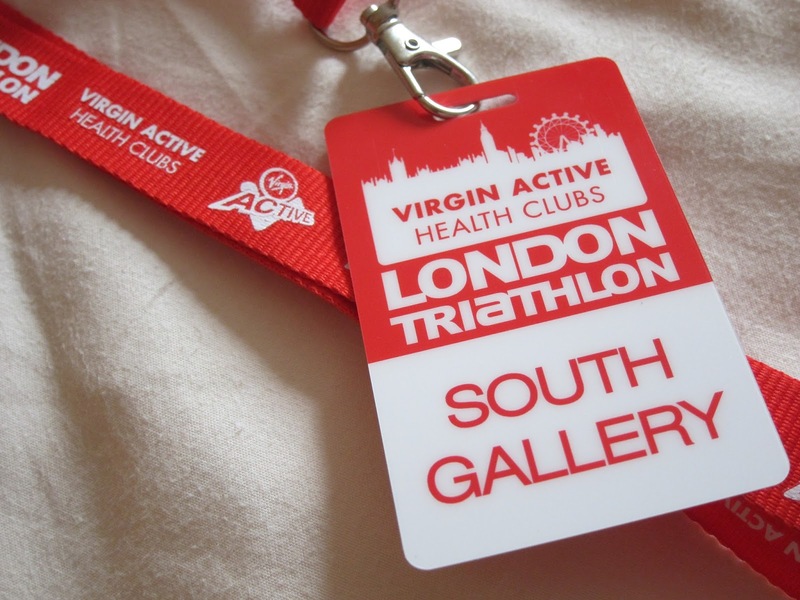 Despite thinking "I really must go for an open water swim soon" all the way up to this event, I hadn't. 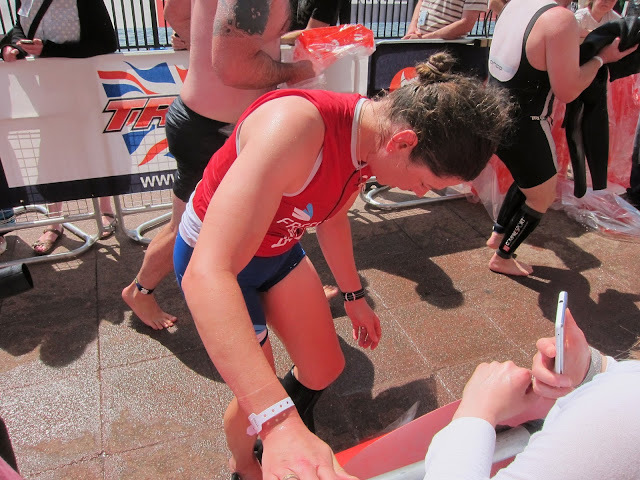 This was the first time I'd even put my wetsuit on since IM Wales last year! I've gained a few kg since then, but thankfully the zip still went up. I positioned myself on the inside so I could swim straight down the line of yellow buoys, and towards the back as I was a bit nervous about my capabilities and confidence. I haven't swum that much at all lately. We started, and almost immediately I was in trouble. The old feeling of rising panic came on, and my arms and legs went tingly and weak. The guy in front of me set off by doing breaststroke slowly, and with lots of other people around and no recent "argy-bargy experience" I couldn't get around him - or make any real forward progress at all. Very frustrating, very annoying, and (sadly) very predictable. I eventually regained my composure (as I always do, in the end) and by the time we'd made the first turn I was moving up the field (again, as always). I found I kept getting boxed in though, and couldn't find a way round moving road-blocks of athletes. In retrospect I should definitely have got some in-wetsuit training done, and I should have had more confidence in my strength and started nearer the front with people more my speed. I'll chalk it up to experience. Not too bad in the end, plenty of people behind me, time for a little bike ride. My T1 was slow, but that's fine. My mental plan said "take as long as you need", and I was determined to follow the plan. My wetsuit came off quickly, and I walked the couple of hundred metres to my bike. I know that coming out of the swim my heart rate spikes high, so I Just wanted to relax and be calm as I set off on the bike. Mrs was in transition too, allowed in to rack her bike for her lunchtime race, so she came and chatted to me - a lovely surprise, and a nice addition to the race experience. I even stopped for a sit down and to put some socks on - what's the rush? I love the bike leg, and even though I wasn't aiming to place highly I had already decided to go for it on the bike. The course for Olympic Plus goes out west from ExCel, past the Tower of London, and right up embankment to the Houses of Parliament where there's a turn point. This route, taking in so many famous landmarks, and the opportunity to ride on these roads flat out with no traffic to worry about was part of the reason I picked the distance. It didn't disappoint either. Coming out of the swim far down the field meant that I had a lot of people in front to pick off - part of the fun of being a good cyclist and poor swimmer is the first part of the bike is great fun! I flew past people, keeping my cadence high and setting my sights on the next person. Giving it some, as best I can at current fitness/fatness levels! The Olympic Plus was three laps of this route, and on the second lap at the ExCel end there were starting to be cyclists form later waves. They weren't going as far so had a turn point that was closer. This led to congestion (all be it manageable) at one end of the course, and then the far end still owned by the Olympic Plus wave. I pushed hard, noticing I was a gear down in some places on lap two, but preferring to keep my cadence high rather than push a big gear. I didn't take any food at all on the bike, and just drank water. Let's see if I really can race on a much higher fat:carb ration than I have before. With 8 months on an LCHF diet (Low (usually!) Carb, High Fat) I should be well adapted. I didn't get overtaken at all on the first lap, I lost a couple of spots on the second, and by the third there were more waves on the course and I couldn't tell who I was in my race. I stuck to my guns and pushed hard on the return leg of the third lap - I knew my run would be poor, I was under no illusions about that, so wanted to see what I could do on the bike. I was very happy with my position, and was within 30 minutes of all the Team Freespeed guys and girls. Given 6 months without cycling at all, and then only a couple of long rides since picking it up again (a "3 hills route, short" of about 80km, a "3 hills, normal" of 90km, and a 110km ride while Mrs was racing the Shock Absorber last weekend). That's barely enough training to have made any difference at all. I think if I can get some good time on the bike then I might be fairly competitive next year. Again a nice gentle transition with no stress. No Mrs with me this time unfortunately, but I took the time to make sure my shoes were well fitted, wiped my face with a small towel, and even gave my glasses a quick clean! Them it was off out onto the run course to show off the IM Talk tri-suit (bit disappointed it fits again now, it was too big by the end of last season!). I set off with the aim of keeping my cadence as high as I could. I knew I would be slow, and people were streaming past me, but i was mentally prepared for that so didn't let it get me down. Lavatory provisions were pretty poor (or I didn't notice any of them) so I had to avail myself of some bushes on the first of the three laps! The course has changed since last I ran it, now three laps that wind around a bit more rather than four laps with a long desolate out and back section. I was very slow, but apart from walking through the water stations and drinking some water, I ran the whole way. I didn't feel hungry, but I felt like something was depleted - though no where near the feeling you get before "bonking". The going was tough in the 06:30 at Docklands! Kia-Kaha! I decided to top up on the second lap with a gel from the Maxifuel stand. The lemon and lime flavour tasted vile - I'm just not used to such concentrated sugar any more - but it hit the spot (mentally or physically, I'm unsure) and by the second half of lap three I was able to pick up the pace a bit. I finished in possible the slowest 10km I've ever run - BUT (and it's a big BUT, that's why it's in capitals) - the furthest I've run this whole year before this race was 5km, and I'd only run 5km twice without stopping, so it really is early days. I had to keep the effort down (minimise risk of injury), and from that perspective it was a success. Mrs was at the finish line waiting with a big hug. 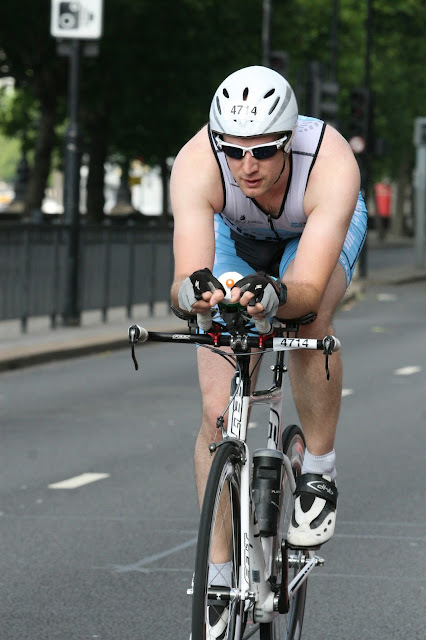 What a fantastic event - I'd done it, my first triathlon of the year. Can I say I'm "no longer injured"? Probably, yes, but have to make sure I don't get carried away. It's so common to bounce back too hard and get all excited and just injure yourself again. I have a few races coming up and with care I'm sure I can get through them all. All in all it was an excellent weekend. Mrs raced well too, and it's fair to say we've both been massively re-infected with the racing bug. The Team Freespeed group were brilliant, I can't wait to meet them again - thank you for letting us hang out with your crew! Mrs after her race, rockin' the Freespeed kit!